Medicine is intellectually rewarding, challenging and inspiring. It requires critical problem-solving, teamwork and integrity. Medical practitioners have an interest in wellbeing and the causes of ill health, working to protect and promote the health of individuals and communities. They are dedicated to alleviating pain and suffering, working out of comfort zones to care for vulnerable people. undertake clinical placements in hospitals and other health and medical organisations. Adelaide Medical School graduates are respected in the industry for their knowledge and experience. They are in-demand for positions in public hospitals, private practice, public health, teaching, clinical research, aid organisations, the defence forces and more. You might become a general practitioner in rural Australia, providing vital services for your community. You could be a specialist paediatrician who works with children and their families. Perhaps you’ll pursue research and develop new knowledge about health and treatments. To be considered as a secondary school leaver, applicants cannot have a tertiary academic record of study from a University, i.e. must never have enrolled in to a Bachelor degree or higher level program at an Australian or overseas University; OR have enrolled for a Bachelor degree or higher level program at an Australian or overseas university but have withdrawn from these studies before a result of 'Withdraw Not Fail' has been awarded. 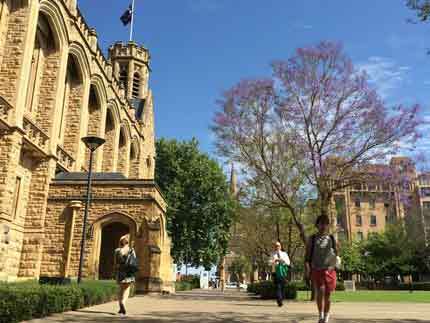 Academic Score (ATAR): To meet the minimum academic threshold for entry into the Bachelor of Medicine and Bachelor of Surgery (MBBS) degree at the University of Adelaide you must achieve an Selection Rank (ATAR plus any applicable adjustment factors ) of 90 or above, an International Baccalaureate score of 33 or above or the interstate/ overseas equivalent). Please note: the MBBS degree does not consider subject adjustment factors. Please refer to Additional entry requirements section for details of other entry requirements to the MBBS program. SACE Stage 2: Biology or Chemistry or Mathematical Methods (if Maths subject was studied prior to 2017, the subject required was called 'Mathematical Studies'); OR IB: Biology (SL grade 4/HL grade 3) or Chemistry (SL grade 4/HL grade 3) or Mathematics (SL grade 4/HL grade 3); OR equivalent (i.e. 1st year Human Biology as part of the Bachelor of Health and Medical Sciences program). Subject prerequisites are applicable to all MBBS entry pathways. A necessary precursor for success in the MBBS degree is a high proficiency in the written and oral use of the English language. If you wish to be considered as a Tertiary Transfer (Higher Education) applicant: - your only record of study must be from the University of Adelaide. You must not have a tertiary record from any other Australian or overseas University - it must be a minimum of one year full-time equivalent study and maximum of two years full-time equivalent study. To meet the minimum academic threshold as a Tertiary Transfer applicant: - First year students must have between 18 and 24 units of level 1 study and have achieved at least a credit average (Grade Point Average (GPA) of 5.0 or more) across all subjects - Second year students must have between 27 and 48 units of level 1 and 2 study and have achieved at least a credit average (GPA of 5.0 or more) across all subjects - Third year students (having studied one or more level 3 subjects) are not eligible for entry into the MBBS program at the University of Adelaide and should consider graduate medicine pathways. Calculating your GPA Tertiary Transfer applicants must also meet the prerequisite subject requirements (refer above). If you are a Tertiary Transfer applicant and wish to be considered for entry under the Rural Background Entry pathway, visit the Faculty website for additional information. Please refer to Additional entry requirements section for details of other entry requirements to the MBBS program. You must be 18 years or over before 1 February 2019 and you must never have been enrolled in a course leading to a higher education level award. If you meet these criteria, you will be eligible to compete using your result in the Special Tertiary Admissions Test (STAT). You must attain a STAT score within the top decile. Your STAT result is not weighted between verbal and quantitative components. Special Entry applicants must also meet the prerequisite subject requirements (refer above). Indigenous applicants may be eligible for entry through the Aboriginal and Torres Strait Islander Access Scheme. Refer to Wirltu Yarlu for further information. Please refer to Additional entry requirements section for details of other entry requirements to the MBBS program. SATAC codes: 314552 - NON-BONDED MEDICAL PLACE - These places have no return of service obligations after graduation. 314553 - BONDED MEDICAL PLACE - Students accepting these places undertake to work in an area of workforce shortage after completing their professional training. Important change: From 2016 onwards, domestic applicants MUST state their preferred Commonwealth Supported Place types at the time of application to SATAC. There are separate quotas for each place type and domestic applicants will need to apply under both SATAC codes should they wish to be considered for both place types. SATAC application dates Application - Apply via SATAC now! There are two distinct parts to the application process: 1. UMAT: all applicants must apply to sit the Undergraduate Medicine and Health Sciences Admissions Test (UMAT). 2. SATAC application to the MBBS program which must be lodged by 29 September 2017. Late applications to the MBBS program will not be considered. Applicants who have listed Medicine (MBBS) among their preferences will be asked to enter their UMAT identification number during the online application process. Applications will not be considered complete without a valid UMAT identification number entered prior to the closing date. Rural entry pathway applicants are required to sign and submit a statutory declaration as the only acceptable proof of rural background. All applicants are advised to read the Medicine and Surgery Admissions Guide before applying for the Bachelor of Medicine / Bachelor of Surgery (MBBS) program. Failure to read this document will not be grounds for special consideration. One of Chemistry or Mathematics or Biology. All applicants must have successfully completed the prerequisite subjects. Applications for 2019 have closed. To apply for 2020 entry please refer below. 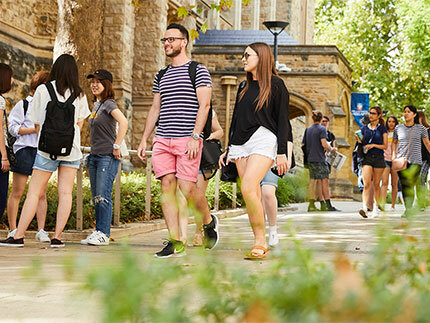 The Bachelor of Medicine and Bachelor of Surgery 2020 Admissions Guide details important information regarding the additional entry requirements for applications to the degree at the University of Adelaide. All applicants are advised to read the Admissions Guide before applying for the Bachelor of Medicine and Bachelor of Surgery (MBBS) program for Semester 1 2020, failure to read this document will not be grounds for special consideration. 1. All international applicants must submit a formal Application online via the University's International website. 2. The online application will also serve as the registration to sit the PQA, and students will be prompted to select the relevant PQA test venue on the application system. 3. Applicants must submit their application and payments prior to the 30 June 2019. 4. Applicants who have not yet completed their current qualification will still be required to apply by this date. Closing dates are strictly adhered to and late submissions will not be accepted. 5. In addition to this application, please note than any student studying for an Australian Year 12 qualifications or for the IB in Australia must also apply directly to SATAC before SATAC's September closing date. Important information for International students who obtain Australian Permanent Residency (or some other immigration status that entitles you to the educational benefits of Permanent Residency) is also contained in the Bachelor of Medicine and Bachelor of Surgery 2020 Admissions Guide. Due to the highly integrated curriculum in the MBBS program at the University of Adelaide, applicants are not eligible to apply for entry into the later years of the program or able to apply for advanced standing. Applicants will not receive any recognition for prior learning. * Academic Results: Meets threshold and Final Ranking Level (to separate applicants with equal summed Interview and PQA scores). Upon completion of the medical degree, graduates are required to apply for provisional registration with the Australian Health Practitioner Regulation Agency (AHPRA). Provisional registration is required to undertake a 12 month internship which provides supervised clinical experience in an approved hospital. After successful completion of the internship, graduates are eligible to apply to APHRA for general registration, allowing them to practise in Australia and New Zealand. Internships are separate from the medical degree and the University of Adelaide does not facilitate the internship placements. It is current practice that SA Health guarantees an intern placement for South Australian commonwealth-supported medical graduates. International medical graduates may need to complete an intern placement in their home country. Further information regarding internship allocations can be found on the SA Health Careers and SA Medical Education and Training website. 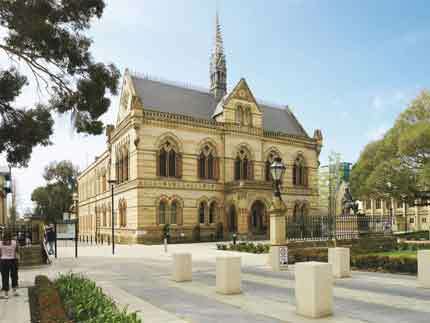 Adelaide Medical School graduates are well regarded in the industry for their knowledge and experience, and are in demand for positions in public hospitals, private practice, public health, teaching, clinical research, aid organisations, the defence forces and more. The full, wide range of medical career paths and options become apparent as students progress through the degree. The Bachelor of Medicine and Bachelor of Surgery (MBBS) is accredited by the Medical Board of Australia. New Zealand citizens applying to the Bachelor of Medicine and Bachelor of Surgery intending to practise in Australia after graduation must be aware of criteria for obtaining a Medicare Provider Number. International applicants should note that successful completion of this degree may not qualify them to practise/register in their home country. Students will have to contact the relevant health registration bodies of their home country for further information. Bachelor of Medicine and Bachelor of Surgery students can undertake a four week work-based training/Dean’s elective in a local or overseas hospital or clinic of their choice prior to completing their degree. Past students have worked and studied in countries including the UK, Nepal, Sri Lanka, South Africa and Canada. A major emphasis is placed on professionalism, communication and clinical reasoning, as well as the practise of evidence-based and preventative medicine. Small-group Case-Based Learning (CBL) is the dominant learning mode during the early years of the curriculum. Lectures in the medical disciplines such as pathology, anatomy, physiology and pharmacology are carefully staged throughout the clinical cases of the most commonly encountered and socially significant diseases. 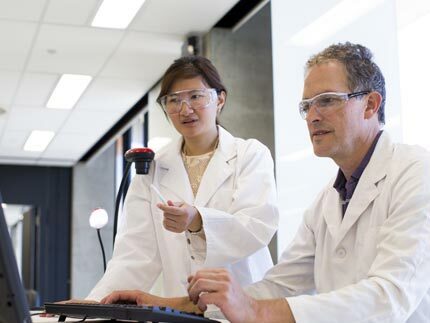 In Year 1, students will also undertake two semesters of Fundamentals of Biomedical Science, a course specifically designed for medical students. The Clinical Skills and Medical Professional and Personal Development courses begin in week one and assist students to acquire the skills required for effective clinical practice. The clinical practice tutorials in Years 1 and 2 are led by senior clinicians in a state-of-the-art clinical skills facility. In Year 3, clinical skills training is conducted primarily in the public teaching hospitals. Students will then bring this core learning to their clinical placements in Years 4–6. These placements will be held in a wide range of organisations, including public teaching hospitals and the broader medical and health community. There are some clinical placements that all students must take, but there are also opportunities for students to choose from a range of electives. Some students will be able to undertake Year 5 in a rural setting. Year 6 is focused on what students need to know for their internship. The major exam is conducted at the end of Year 5, and with the pressure of exams reduced, final year students can focus on their clinical practice and professional development. In the later years of the program, there are opportunities to take electives in medical disciplines. In Years 4 and 5, students choose from a range of medical and scientific attachments. The Year 6 program offers a semester of three 6-week internships and a semester of four 4-week elective placements in community and ambulatory locations. By the end of Year 6 a student must have completed at least 4 weeks located in a rural environment. However, students may elect to do more than 4 weeks in a rural area. Before the end of Level VI of the MBBS program, a student is required to complete a four week extra mural activity in the form of an external elective approved by the Dean of Medicine. Each year of the degree has a combination of written and clinical assessments, examinations, and competency based assessments and assignments. "My advice to others is to embrace student life and explore every opportunity you can, there&apos;s so many ways to get involved in an incredible variety of projects, programs, clubs and community events."